You can follow the OptiFine development here: [email protected] or http://optifog.blogspot.com. Resources: translation, documentation, issue tracker. 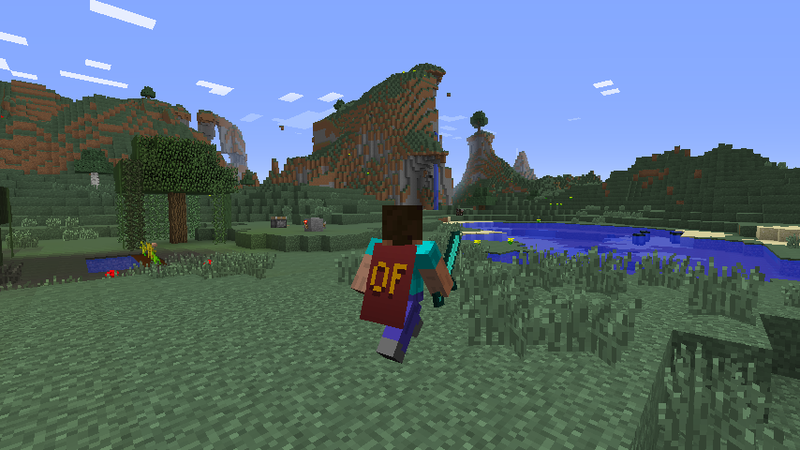 The cape is visible to everyone using OptiFine. Thank you for being awsome. Custom Sky (info) Use custom textures for the day and night skies. Multiple layers, blending options, time configuration. Connected Textures (examples) Connects textures for glass, glass panes, sandstone and bookshelf blocks which are next to each other. Natural Textures (examples, idea) Removes the gridlike pattern created by repeating blocks of the same type. Uses rotated and flipped variants of the base block texture. The light edition improves FPS, especially for slower computers. Gains of 20 FPS and more are common. No HD features or extended configurations included. Originally based on Optimine by Scaevolus. Even older versions of OptiFine are available in the OptiFine history. 1. 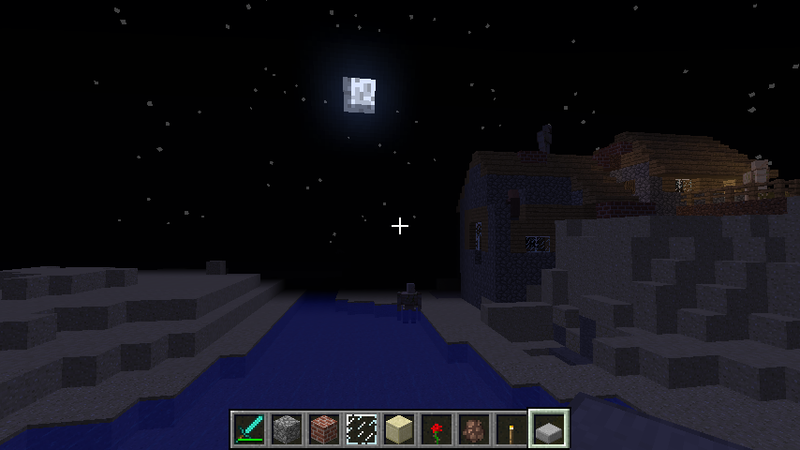 Temporarily revert back to the Default Texture Pack. 2. 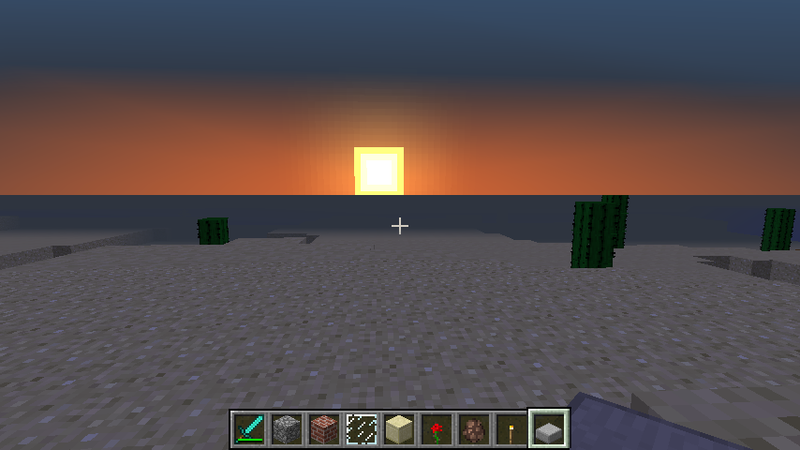 Uninstall the HD Textures, HD Fonts, and Better Grass mods from the MCPatcher. These functions are included in OptiFine. 4. Install OptiFine and test with the Default Texture Pack to make sure everything is working. When installing OptiFine together with other mods always make sure to install OptiFine last. The only exception are mods which are designed to be installed after OptiFine and say so in their install instructions. If you need ModLoader: Install OptiFine AFTER ModLoader. If you need Forge: Install OptiFine AFTER Forge. MCPatcher is NOT needed for HD textures, HD fonts and BetterGrass, they are included in OptiFine. Install OptiFine without MCPatcher's HD features for best performance. If you need DynamicLights (ModLoader edition): Install OptiFine AFTER DynamicLights. Compatible with: ModLoader, Forge, SinglePlayerCommands, TooManyItems, PlasticCraft, CJB's Modpack, Zan's Minimap, Rei's Minimap, DynamicLights, GLSL Shaders 2, LittleBlocks and many other. Not compatible with: CCTV, The Aether. - Click "Install" and OptiFine will be installed in the official Minecraft launcher with its own profile "OptiFine"
- Rename the folder "1.6.2" to "1.6.2_OptiFine"
- Go in the subfolder "1.6.2_OptiFine"
- Rename "1.6.2.jar" to "1.6.2_OptiFine.jar"
- Rename "1.6.2.json" to "1.6.2_OptiFine.json"
- Copy the files from the OptiFine ZIP file in "1.6.2_OptiFine.jar" as usual (you can use the 1.5.2 instructions for this) and remove the META-INF folder from "1.6.2_OptiFine.jar". - Click "Edit Profile" - Select "Use version:" -> "release 1.6.2_OptiFine"
- Click "Play" or "Login" to start the game. If only "Play Offline" is available, then log out and log in again to fix it. - Select the checkbox "JVM Arguments" and in the field next to it add "-Dfml.ignoreInvalidMinecraftCertificates=true -Dfml.ignorePatchDiscrepancies=true"
If possible start with a clean minecraft.jar and check the mod compatibility section above. 5. Copy (drag and drop) the .class files from the downloaded zip file into the jar file, replacing previous files. 6. Run Minecraft and test! Please test and report back, include CPU, GPU and FPS before/after. Feedback is always welcome. The mod OptiFine is Copyright © 2013 by sp614x and the intellectual property of the author. It may be not be reproduced under any circumstances except for personal, private use as long as it remains in its unaltered, unedited form. It may not be placed on any web site or otherwise distributed publicly without advance written permission. Use of this mod on any other website or as a part of any public display is strictly prohibited and a violation of copyright. You are lying! I never hit you! You are tearing me apart, FOG! fantastic job though. i do so love the optomization style mod. Sounds like a killer mod. Can't wait to test this out. Thanks for adding to the community and improving game performance. Awesome mod! I have never seen such fps before! Thanks!! This sure will be a must have mod....maybe merge the 2 mods together, as in become one mod to avoid conflict? That would be nice...if you and scaevolus dont mind that is.. He said that it isn't yet compatible with Optimine, as they share the mw.class. when i tried to put it in my .jar, the game crashed on me. Is there any reason why? Did you delete your META.INF file? I'll try this since Optimine doesn't like me. EDIT: I'm not seeing that much of a difference. Did i do it right? I only saw one class file that i had to install. Optimine has 7. And does this work with the Pistons mod? Because i might want to try that. Come visit the The Port of Dawnbridge, A story thread with fantastic architecture. There is only 1 file to update. It probably works with the Pistons as only the rendering module is updated. To see more FPS try running in FAST mode. 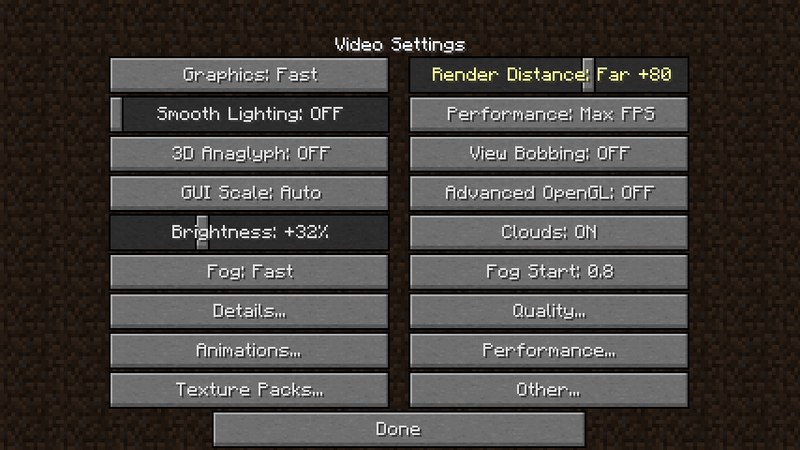 OptiFog works by optimizing the rendering distance and fog type being used. The difference in FAST mode is +80% for my PC. There is smaller FPS gain in FANCY mode, but more terrain is clearly visible so even short rendering distances should look better and be playble. Optimine optimizes the chunk processing and drawing + other fixes, but on my PC the difference is minimal (1-2 FPS). It seems to be more usable for older computers which struggle with Tiny and Short distances. OptiFog only works with the original minecraft.jar. If you have other mods installed, especially Optimine, then it may not work. 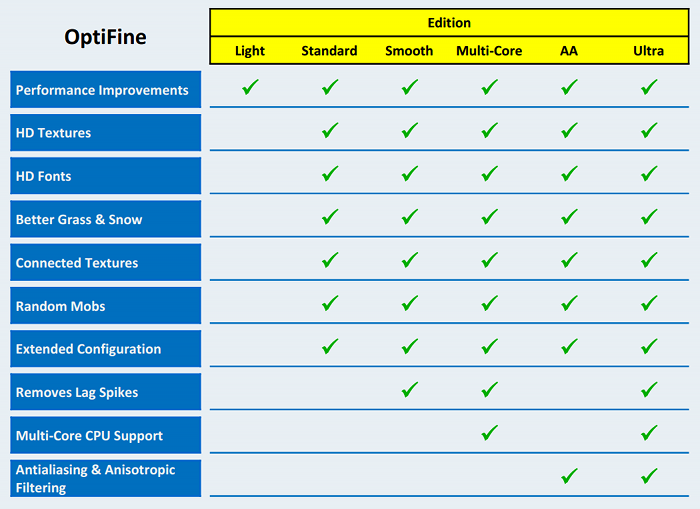 For me the 1.4_01 Optimine makes almost no difference (+1-2 FPS). The older 1.3 Optimine was working OK for me (+5-10 FPS). Other people have reported significant FPS gain with Optimine. OptiFog in FAST gives me +80% in FPS and more terrain is clearly visible so even shorter rendering distances are playable. Nice performance boost, however I prefer the original look, more natural. Just a question, why does Opitfog use an additional 25%/20MB of Memory? The original fog IMHO looks good on FAR, acceptable on NORMAL and not so good on SHORT and TINY. OptiFog is optimization mod for people who can not play on FAR. It makes NORMAL, SHORT and TINY look better and run faster. OptifFog should not use more memory, it only modifies the rendering parameters. I took the screenshots at different times, my OptiFog version was running longer and has used some more memory.